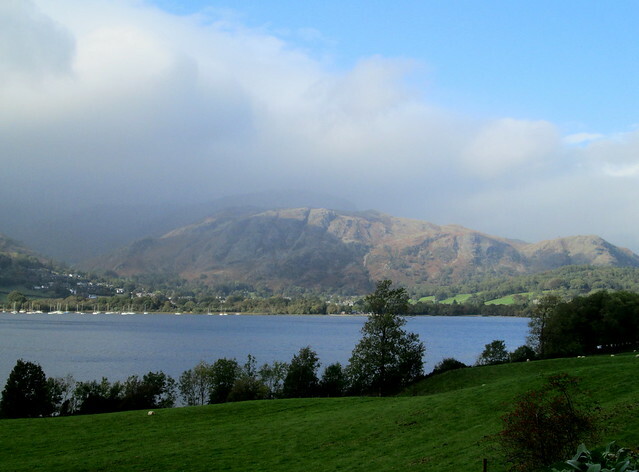 After visiting Grasmere we drove on to Coniston Water on the way to our next overnight stop in Derbyshire. It was a lovely day and thankfully Coniston Water wasn’t nearly as busy as other places in the Lake District – such as Ambleside which always seems to be heaving. We were making our way to Brantwood which is the lovely house that the writer, art critic, philosopher, philanthropist and environmentalist John Ruskin bought, it is situated high above Coniston Water and these photos were taken from the grounds at the front of the house. You can see in the photo below that there are lots of wee boats and yachts in the lake. This lake inspired Arthur Ransome to write his Swallows and Amazons series. 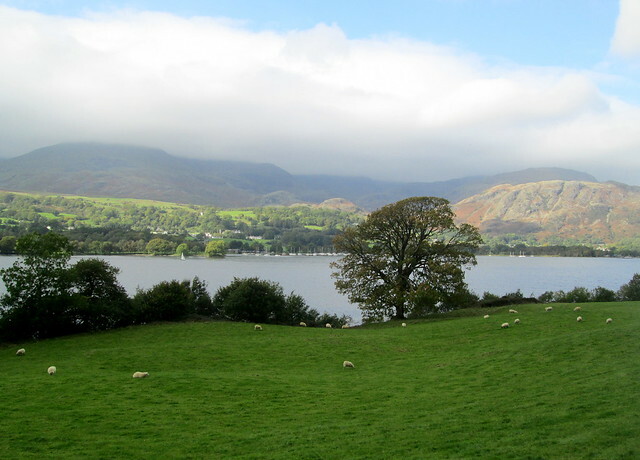 And below is a photo of Brantwood, it has marvelous views of the lake. 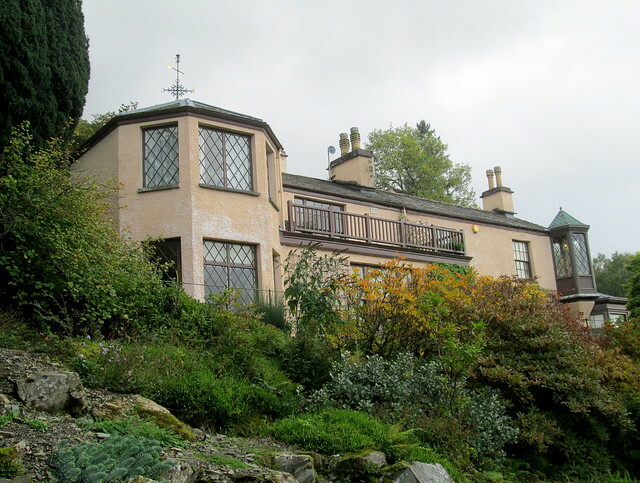 Ruskin bought this house unseen as he had often holidayed at Coniston and at a time when he was ill he thought that if only he could lie down in the water at Coniston he would get better. It must have worked as he lived here for many years. I suspect that the one thing that everyone knows about John Ruskin is that his wife had to go to court to get an annulment for non-consummation of the marriage. That harmed his reputation for a long time but that was just a small part of a long life which included many interests. He was interested in educating ordinary working people, at this time education in England was in a very poor state compared with in Scotland. He was involved with progressive schools for girls, and he also set up workshops that trained and employed people who would probably otherwise be unemployed and destitute. I’ll show you some photos of the inside of the house soon. 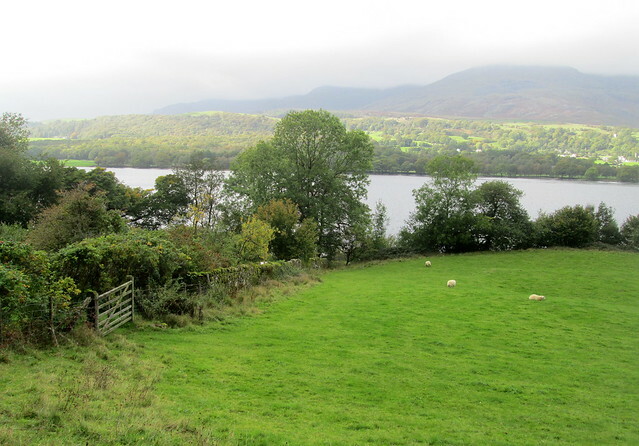 This entry was posted in Architecture, Books, Scenery and tagged Arthur Ransome, Coniston Water, John Ruskin, Swallows and Amazons, The Lake District by Katrina. Bookmark the permalink. Coniston Water is a lovely place. We spent several blissful camping holidays when the kids were of an age to like it. 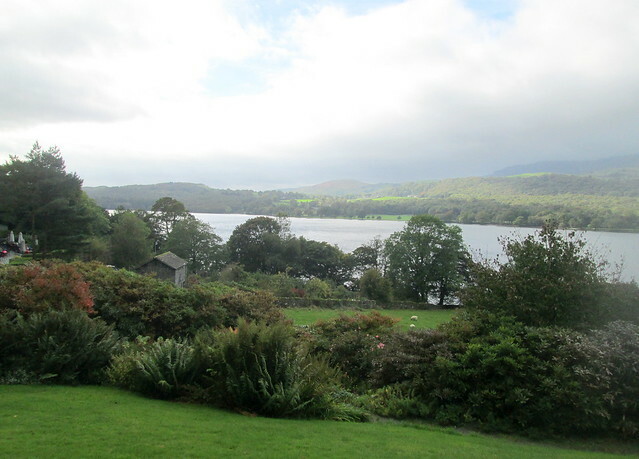 We stayed at Grizedale, just over the hills to the east of Coniston. I even wrote a book of walks (never published) based round Coniston and on the real Lake District locations in the Arthur Ransome Swallows and Amazon books. My daughter went on to do a geography degree at St. Andrews so I think a love of maps is in the blood. The kids were the trial “subjects”. What a shame that your book was never published. We’re all keen on maps too, it’s something that’s becoming quite rare now I think as so many people never look at them and just use their satnav. We were only in the Lake District briefly and next time we’ll linger there longer I hope. I did not know that fact about Ruskin’s marriage and wife. The views from his house are to die for. I have an Everyman’s set of Ruskin’s works, but I haven’t read any of them. I’ve often seen lovely copies of some of his books but have been slightly put off as I thought he was such an odd person, but the wee film about him that we saw at his home was interesting and I think he did a lot of good for poor people.